Harry Dean Stanton as the angel Gideon in "One Magic Christmas"
He had a storied career that included roles in movies directed by some of the best directors of the 1980s, but I will always remember Harry Dean Stanton for two roles that restored hope: as an angel restoring the magic of Christmas then a year later as a single dad restoring his daughter’s faith in humanity. 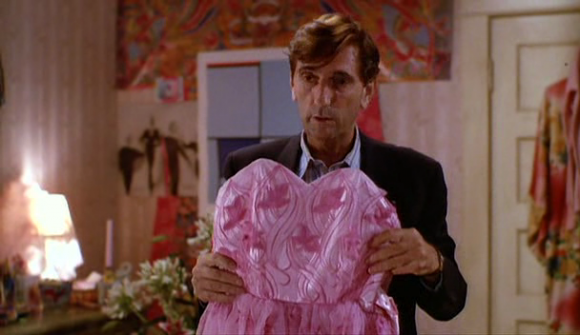 Harry Dean Stanton had a long, distinguished career, but upon learning of his death two months ago at age 91, my thoughts went to “One Magic Christmas” and “Pretty in Pink”. In the fall of 1990, I started reading old issues of “The Edmonton Journal” on microfiche at the Rutherford North library on the University of Alberta campus in Edmonton. I was doing what I called research for a play I was writing set in the 1980s. That in part ended up being research for other projects including this very blog. Anyway, one of the movies I read about was called “One Magic Christmas”, and it really intrigued me. Back then, it was not as easy to find an old movie, even one five years old, as it is today. Your choices were: the video store; the pay TV movie channel; or the most old-fashioned of methods, the re-run on network TV. I did not give it much thought until I went home that Christmas of 1990, only to see a commercial on the anchor of peasant vision, the CBC. One of the Christmas movies they planned to air during the season was – “One Magic Christmas”. So on a Sunday night in December, in what would be my last Christmas on our family farm, I watched “One Magic Christmas” with my mom. 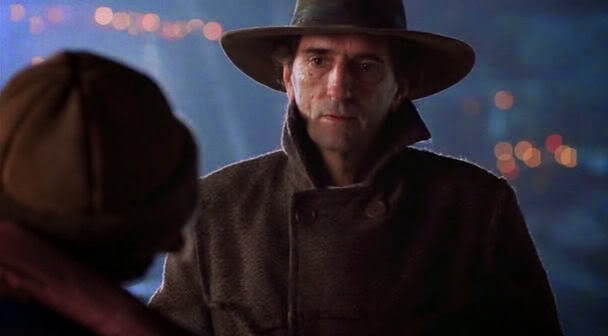 In it, Harry Dean Stanton plays the angel Gideon, who restores the true meaning of Christmas for a woman who had stopped believing. In the end she learned the main lesson – to celebrate what you have and not what you want. It was a heart-warming movie that came at the perfect time. It was maybe a year later, that I went to a movie in the theatre that also got to me. “Pretty in Pink” resonated for me in an entirely different way than “One Magic Christmas”. It was the third movie in John Hughes’ teen angst tetralogy, so I knew I would like it because Hughes was one of my heroes. My friend Dave took me to “Pretty in Pink” for my 16th birthday, and I was not disappointed. Molly Ringwald, who was also in the first two John Hughes movies, plays a teenager battling cliques and expectations as her high school prom approaches, who meets the boy of her dreams. She lives with her dad after her mom left them, and he struggles to support his family. However, throughout he remains supportive and at the end of the movie, buys her a pink dress for her prom. She combines that with a pink prom dress she borrowed from an older friend to make a dress for her own prom. for his daughter Andie's prom in "Pretty in Pink"
So, she goes to her prom and gets the guy in the end, partly because she is pretty in pink. Virtually all the eulogies and retrospectives that have come out since Harry Dean Stanton died have focused on his long film career and roles in such films as “Paris, Texas”, “Escape from New York”, “Repo Man”, and “Red Dawn”, among others. 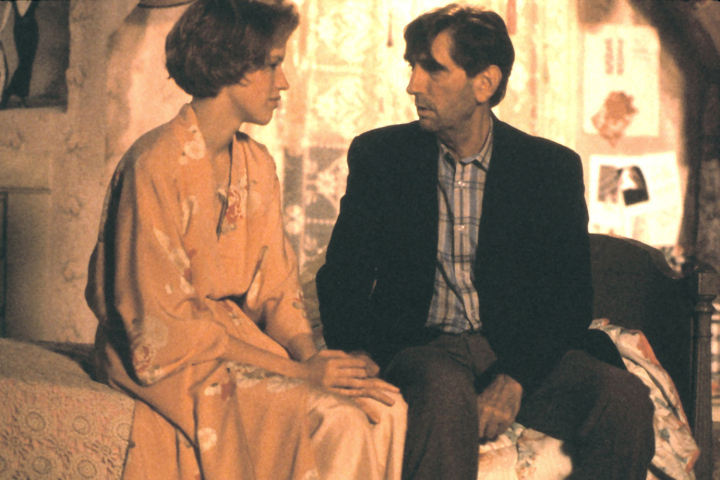 However, for me, Harry Dean Stanton will always be the actor who brought those two inspiring roles to life: an angel who restored the true meaning of Christmas, and a supportive dad who helps his daughter become “pretty in pink”.